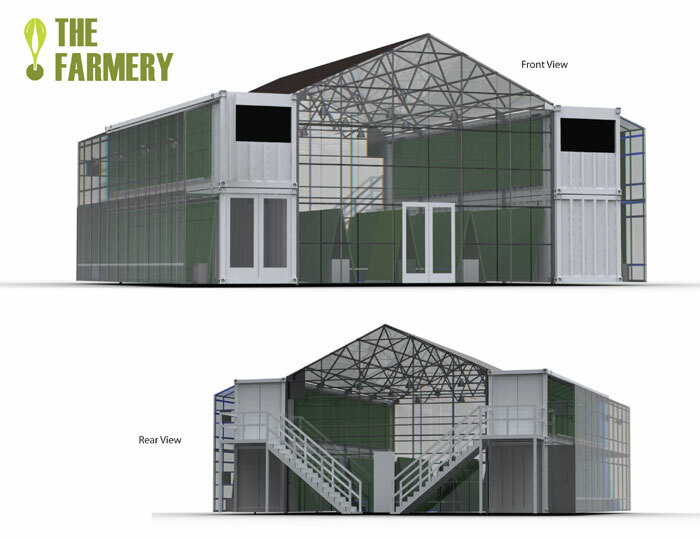 The farmery is made up of 4 decommissioned shipping containers occupying a total space of 55'(16.8m) x 55'(16.8m). 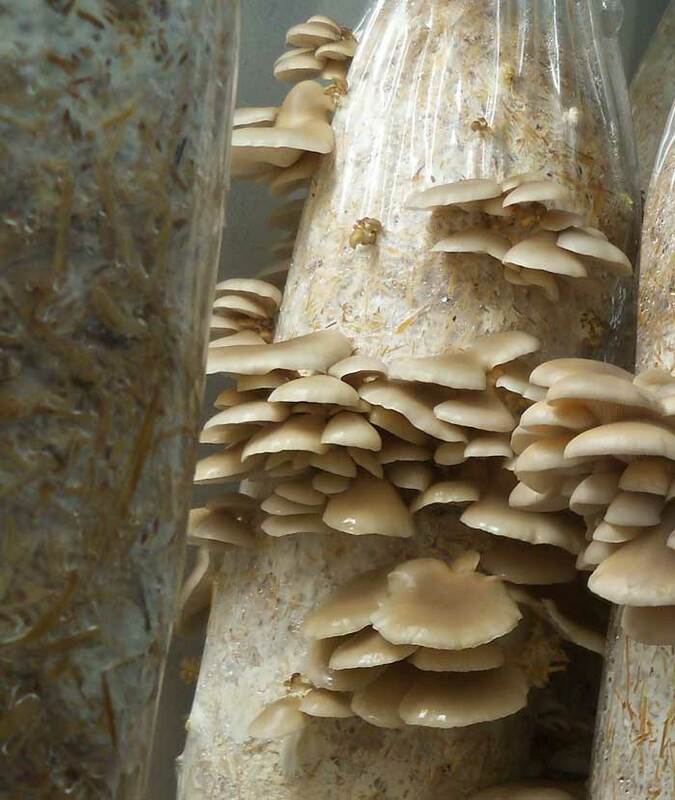 Each container is fitted out with an internal mushroom growing system and aquaponic vertical growing panels covering the outside walls. A variety of green produce (eg. 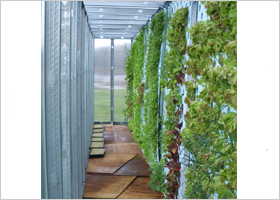 lettuces, herbs, strawberries etc) can be grown on these soil-less panel systems. 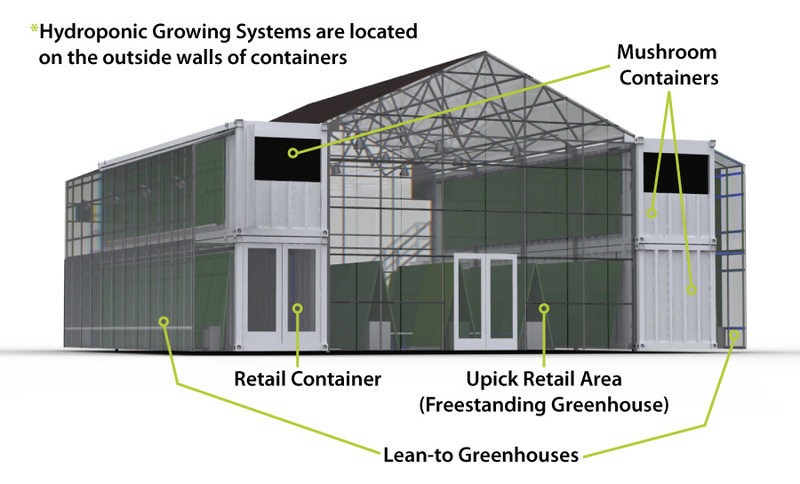 Lean-to-greenhouses are attached to the external side walls, with a central greenhouse spanning the two stacked containers. 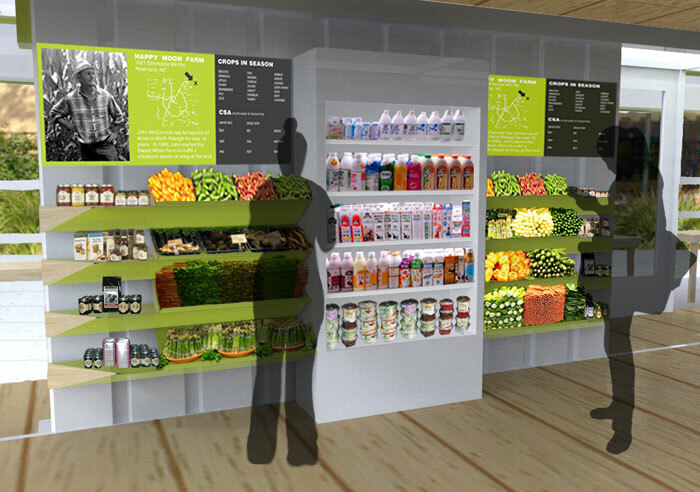 A market occupies part of the central greenhouse and one of the groundfloor containers, allowing customers to purchase fresh crops and produce (grown in the Farmery and by local farmers and producers). 'The Farmery's' modular design can be constructed easily and quickly, utilising recycled shipping containers and standard greenhouse materials. Being essentially pre-fabricated and modular it can be scaled up to meet higher demand by simply additional levels or lengthening the design. 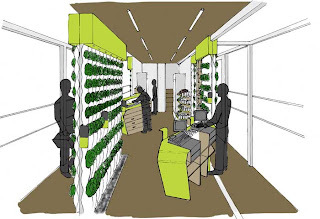 'The Farmery' concept is attempting to address some of the flaws in traditional agricultural practices, as well as bring sustainability and food knowledge to the city. It has become increasing difficult to turn a profit by traditional means of agriculture, resulting in ever growing 'mega' farms in an futile attempt to combat decreasing unit prices and large freight distances. In this economic climate there is next to no hope for small farmers to operate competitively, in turn, only widening the gap between consumers and the sources of their food. Ben Greene decided these destructive farming practices needed a viable competitor. Until recently the team at 'The Farmery' have been prototyping two shipping containers to analyse and improve growing systems. These containers not only research prototypes but are actually making a profit selling harvests at farmers markets and to local restaurants. A was video put together for a kickstarter.com campaign, 'The Farmery' launched August, 2012. They successfully reached their US$25,000 in September, 2012. With this funding they were hopefully finish the construction of their 45’(13.7m) x 8’(2.4m) x 9.5’(2.9m) prototype container with 6’(1.8m) lean-to greenhouses on both sides in October, 2012. With client construction beginning in February of next year. 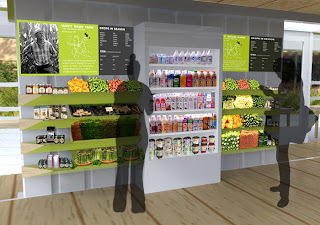 I wonder if this could be franchised, enabling innovative urban farmers as across the world to produce competitive local produce at a cool and sustainable outlet.